A hall commemorates those who served in World War One. The memorial arch that was erected over the doorway is now over the present R.S.L. Hall doorway in Kirkland Avenue. 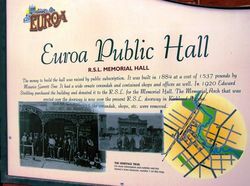 The Hall was presented to the Euroa Branch of the RSL in 1920 by Mr. E. Stribling. 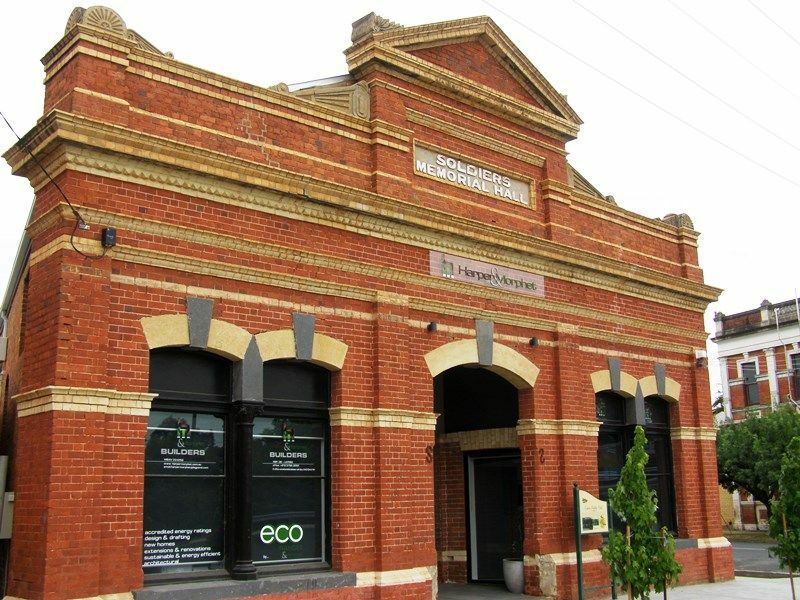 A few years ago Mr. Stribling, of Euroa, purchased the Euroa public hall and donated it to the returned soldiers. 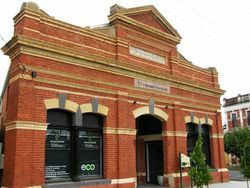 Since then, with the aid of other donations and money raised, the soldiers have greatly improved aud enlarged the building. 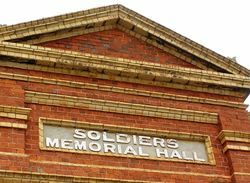 It was renamed the Soldiers' Memorial Hall, and to make it more in keeping as a memorial a front entrance, which consists of a porchway; was domed over a granite archway, in which stands the marble statue of an Australian Soldier. The lobby is wholly lined with blackwood, with honor rolls inset. Inside the hall are shield tablets, with lists of all engagements in which Australians took part, also a tablet, with A.I.F. color patches. The memorial was unveiled on Wednesday by Mr. C. S. Turner, the first president of the Soldiers' League, in the presence of a large gathering. There are a great many names on the honor rolls, and among them are many who distinguished themselves, three having won the Victoria Cross, viz., Colonel Leslie Maygar, who won in the South African war, and Major Tubb and Corporal A. Burton, who won theirs at Lone Pine. Benalla Standard (Vic), 1 May 1923.